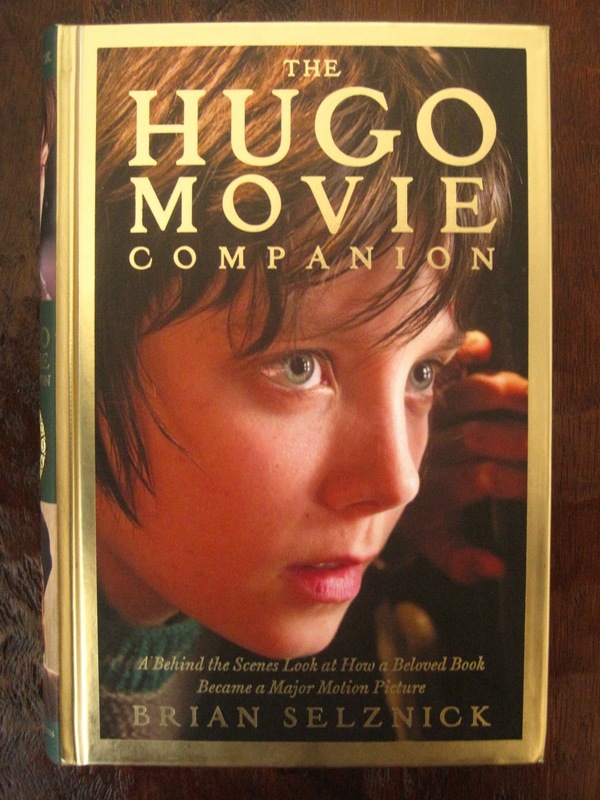 Because The Invention of Hugo Cabret was in such a format that made its pages like film slides, it follows that The Hugo Movie Companion, which is also written by author Brian Selznick, isn't in the typical movie companion format. It is not a slender, large paperback; it's regular book-size. It's in fact around the same size as the book the movie is based on, just much thinner with around 250 pages. The pages also aren't glossy. While this was odd at first for the pictures, it does mean no fingerprints and also enhances the idea that you're reading a book--not just looking through a companion to a movie. Brian Selznick also divided the book up a little differently than most companions do. His format emphasizes storytelling and storytellers, giving as many people as possible a mini chapter within the larger chapters. Whereas so many movie companions have you pausing what you're reading and marking your place while you look at a picture or read a box that breaks up the text, this book is much more reader friendly. A page usually ends with the end of a sentence, so you're free to look at everything individually without having to flip back and forth. This may seem like a minor detail, but it always bothers me with other movie companions. Some of the pictures are illustrations from the book, along with a comparison of the corresponding scenes from the movie. There are also behind the scenes and historical pictures, as well as a page or two of the script. One of the images I found most fascinating was of the dialogue coach's notes about how to pronounce the dialogue with an accent. I've always seen dialogue coaches in movie credits, but I've never heard anyone explain how exactly they do their work. This book tells not just how the movie Hugo was made, but also where all the people who worked on it drew their inspiration from. It goes into great detail without becoming overly technical. With all the pictures it's a short read. 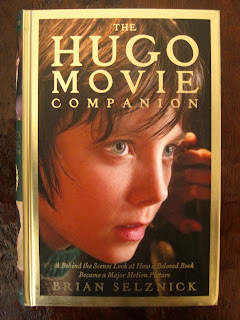 While The Invention of Hugo Cabret is like a film, this movie companion connects film back to books.